There is nothing more precious than a brand new baby, and nothing more special to create than the tiniest of quilts for the tiniest of newborn babies...the little one born too soon. The tiniest of the tiniest, meant for the 'super preemies' or as blessings for little bereavement quiltlets. Often, when babies are born far too soon, and don't survive their transition, they are either wrapped in a tiny quilt, or the family is given the opportunity to choose one to bring home with them. ...they become precious mementos of caring and love, extended by a stranger, expressing connection and caring. And if you include plain fabrics, their precious, names and birth date or messages of love and caring can also be written in by family members showing their own love and support. These are all about 14"-18" and can be simply made from orphan blocks. Looking barely large enough for any use, they still serve and a fulfill a far deeper purpose and in spite of their tender size, are filled with so many more invisible stitches of love. Hospitals often suggest no batting be used (for easier envelope style folding) or only flannel used as batting. 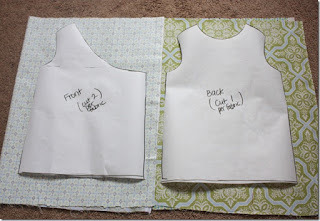 TOP: A design of your own choosing, pieced or whole cloth. BATTING: Most neo-natal intensive care nurses prefer no batting, just the top and the backing layers. 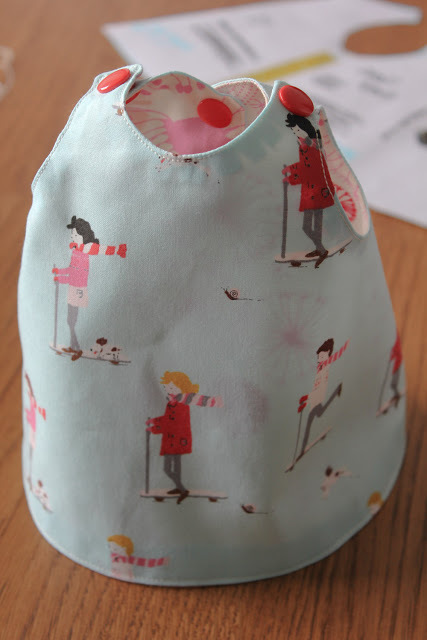 BINDING: Flannel or soft cotton fabric. The easiest option is pillowcase style (with right sides together, sew around the perimeter leaving 5-6” unsewn for turning purposes. 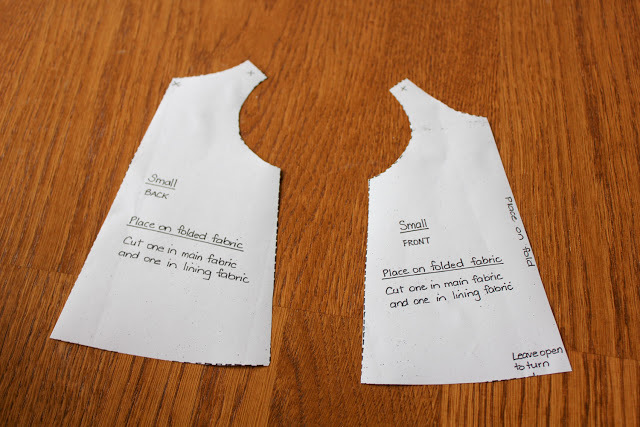 Turn, press and slip-stitch opening. OR with wrong sides together, turn backing to the front and topstitch. Traditional binding techniques usually accepted if you prefer. QUILTING: Hand or machine quilting. Most hospital prefer no tying and they see the knots as being too hard on these babies’ tender skin. If quilts are simply ontop of isolettes, tying is usually fine. 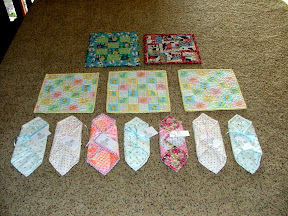 FINISHED SIZE: Some programs prefer extremely small sizes...from 12"-18" for the tiniest babies or for bereavement quilts. Other prefer 22" x 22", or even 24” x 30” . With quilts placed on top of an isolette unit, as many hospitals do... 30" x 30" or 36" x36" is a nice standard size. Like all quilt size recommendations, there is great variance, so check with your local hospital or favorite charity for preferences. LABELS: Depends upon the program you join, the hospital requirements, and your personal preference. Some like AZBlankets4Kids, require their own label, on the FRONT of the quilt. When a tiny baby is born before its time, and is too fragile to survive, usually during the second or early third trimester, there is still birth of the baby.. A loss of this kind is huge for the grieving parents to face, yet most of them still want to both see, and to hold, their tiny little infants. It is a very special part of that grieving process, of letting go of the dreams of what might have been..to hold and to bond with their tiny little one. What can be even harder is discovering that you have nothing to wrap or dress your tiny loved one in, as nothing will fit ,or is appropriate for the simplest of touches that are possible when holding, and saying goodbye. And so to have your little one passed to you in a rough, or not very attractive, piece of cloth only makes that awareness that much sharper and more painful. Babies are wrapped up in simple tiny blanket like piece of cloth that most hospital provide. But if the hospital has them, a tiny little quilt or blanket.... made for this purpose by volunteers... can be wrapped around their little one for that holding, bonding, and saying goodbye, time. It was a deeply moving process for me as I made each and every one of them. 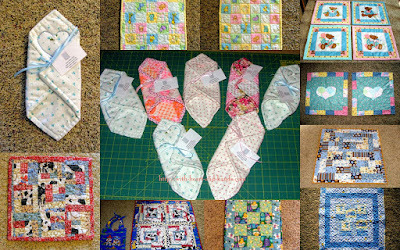 I also make lots and lots of preemie quilts and blankets for donation. 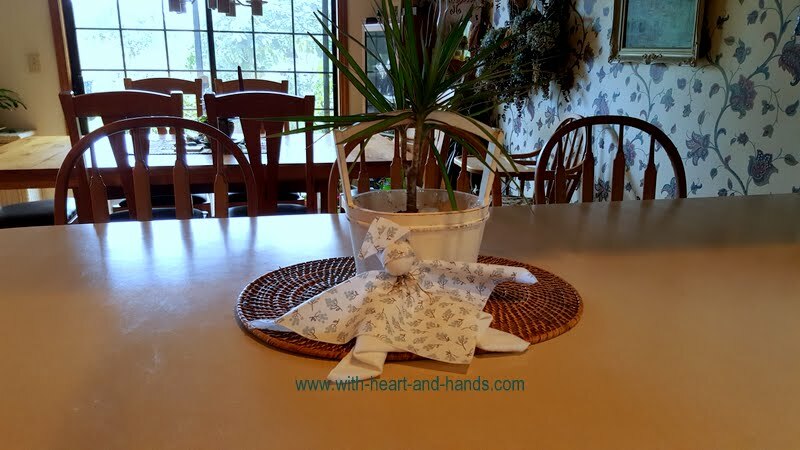 My tiny blankets, quilts and wraps are quite simple. They range from as tiny as a 9" square to as large as a 14" one. But each is special and made with love. Many websites offer a variety of ideas for extra tiny pouches, wraps, blankets, or simple quilts or garments for what is medically termed as 'fetal demise.' And while these words seem harsh to those who have never heard them before, they are simply what the end of life resulting in a still birth is often called. The idea of a specially made little quiltlet created and made with love and compassion seemed like a wonderful gift to give to our local hospital, so I decided to spend a few days creating some in varying sizes and making a list of other ideas. I found an assortment of links, files, and free downloadable patterns for a variety of blankets, quilts, pouches and wraps. But making a simple wrap can be as easy as making a simple 9"-12" blanket or quilt that can be tied to create a little pouch like shape for the tiniest of the tiny ones.Some can be tucked under at the bottom for the very tiniest and others can simply have a little half triangle pouch sewed into one corner or be left open to cradle the littlest of babies. I simply cut two or there squares of fabric sized from 9" to 11". 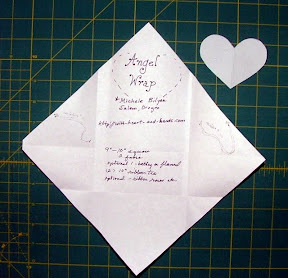 A third square can be folded in half and place as a triangle shape in one corner and sewn in a the same time, or it can be left open as an "Angel Cradle Wrap" as shown by mine, above. The one above is very small and I would add the corner pocket, or cut it more like 12". I used very thin batting in between or a little piece of flannel, instead of batting. 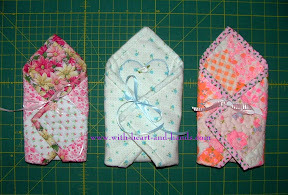 Several of mine are quilted, the others simply have a heart shape quilted on to bind the pieces together. Add some ribbons at the tying points and rosettes or other simple trims and you have sweet little wraps for the tiniest of little angels. For those who like to use or simply view patterns here are links to free patterns, photos and clothing links for preemies of all stages and sizes. Mine are intended for little ones weighing about 1 lb and about 6" long...a truly sad and yet endearing thought filled with compassion for the losses that so many of us endure. Quilter's Anonymous in Lynnwood, WA. A friend shared this list for me. Obviously, some one else put it together, so my thanks appreciation to my friend and to the lovely person who found these links. Many are repeats to mine above, but still worth taking another look at it! ♥ Burp Cloth, Contoured . ♥ Angel Wing Bonnet s.
And for all all of the precious little ones who do make it, but face so many challenges in their lives after birth! All of us have been touched by a precious little one in our life, often someone very near and dear to our own hearts, that faces a myriad of challenges after birth. God Bless all of the families, all of the care givers, the doctors, the nurses and the surgeons who work tirelessly in heartfelt service to these little babies who have to fight so very hard to be brought to life, to live, and to face their lives when they do make it through birth, through surgery (s) and often have long recuperation periods both in special NICU or PICU wings of hospitals. Miracles happen every day and what a blessing to families everywhere that surgical techniques have been invented in the past three or so decades that allow these tiny preemies or even full term babies to have their congenital issued corrected with wonderful new life saving techniques. It allows little mended hearts and bodies to survive, to grow, and to lead happy and often quite healthy lives. So don't forget to make special items for them! You can make anything from special little snuggle gifts that can be kept close to mama or daddy's heart and then kept close to baby in their little NICU or PICU isolette, to tiny NICU gowns with multiple and easy fastener openers to accommodate tubes and wires! Make them for your own loved one or to donate to any local hospital's neonatal care unit or to specialty hospitals like the Oregon Health Science Center/Dornbecher Children's Hospital that we have close by in Portland, Oregon. 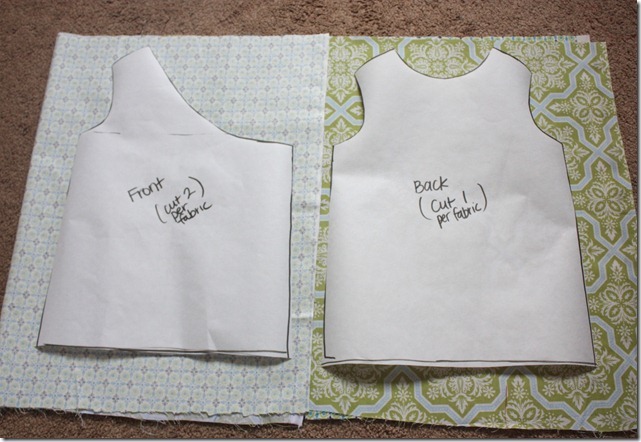 This, believe it or not becomes a tiny NICU shirt/gown for a little one! 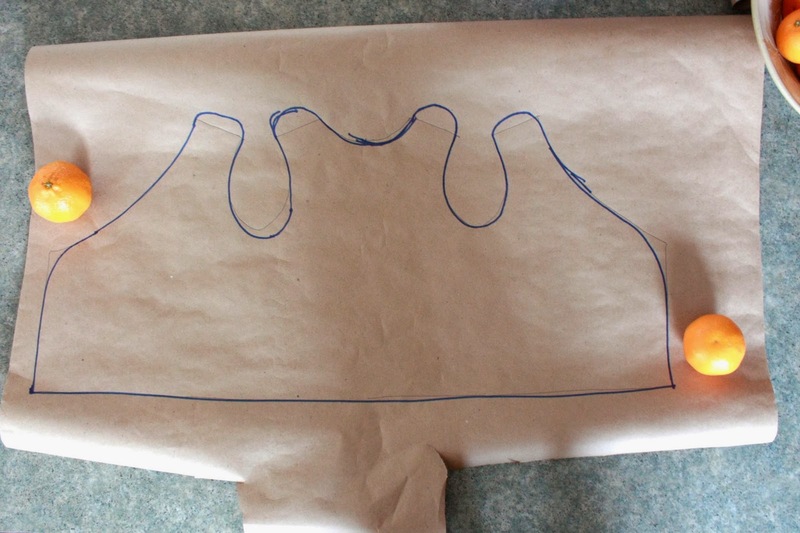 Use your imagination and see how this shape becomes the tiny garment below!! This one below is from Pinterest, I need to figure out where the original link came from and then I will add it in! But here is another version without the open side seams (which I personally like as simple softer pieces of velcro can tab them open or shut. 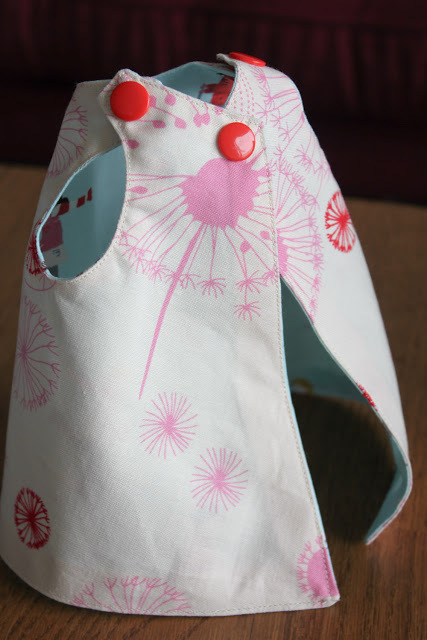 But many babies could also use this version below, which velcro opens and closes at the shoulder seam! Or if you prefer, one like this with side seams and a cross over that can cross on either or both interchangeably, sides! Need a pattern? 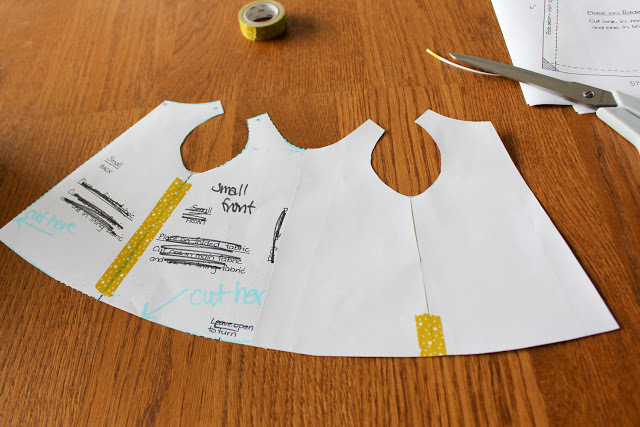 Just use a garment of choice for shape and size and draw around it, to create an approximate piece! They should be loose, so no need for perfectionism of any kind. Just soft flannels,and the softer velcros. Some people like snaps, saying that velcro catches, well..snaps take a lot of pressure and its not easy with one hand under to push and one on top..so there are choices you have to decide on for your own preference! But shop around and touch the velcro on the rolls, some are softer than others for the hooks and loops! And little simple ribbon ties work nicely, as well! Yes, this is a blog site, but do not let that fool you! Quilter Michele Bilyeu has gathered a GIGANTIC listing of links to thousands of patterns that are sure to please any quilter! 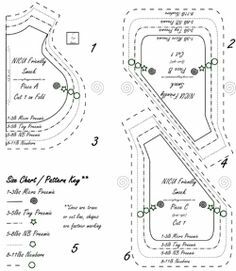 On her blog you will find great links on her 2,500 Free Quilt Patterns and Huge List of Free Quilt Block Patterns pages. 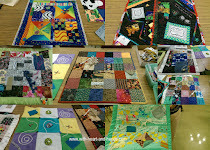 She even has a blog entry in memory of Project Linus Blanket Make a Blanket Day held the third Saturday of February each year. This page is Free Babies, Childrens Quilt Patterns. This is one website you will not want to miss! ♥Thank you and bless all you do Project Linus!!! 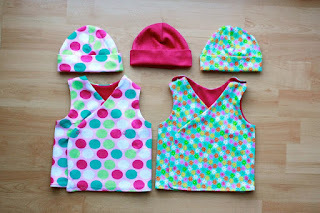 MORE: Free Patterns and Tutorials for Preemies and NICU Babies being added in regularly!!!! Headband Pattern - there isn't much need for these and sometimes they overwhelm the tiny baby heads - so we're working on phasing this pattern out. Diaper Shirt Pattern - This is the pattern we started with. We are trying to phase out this pattern though since it fits only a limited number of babies. We are moving to making more of the kimono patterns. 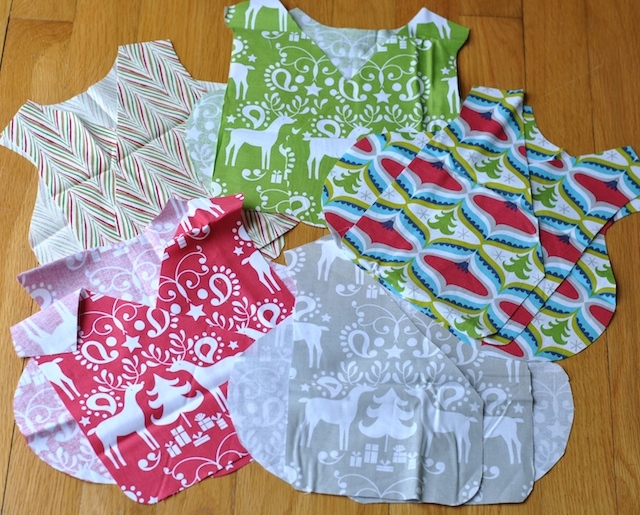 Diaper Shirt Pattern with pictures - This is a pattern we started with. We are trying to phase out this pattern though since it fits only a limited number of babies. We are moving to making more of the kimono patterns. 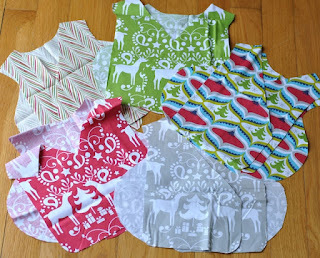 Diaper Shirt with Dress & Ruffles pattern - This is a pattern we started with. We are trying to phase out this pattern though since it fits only a limited number of babies. 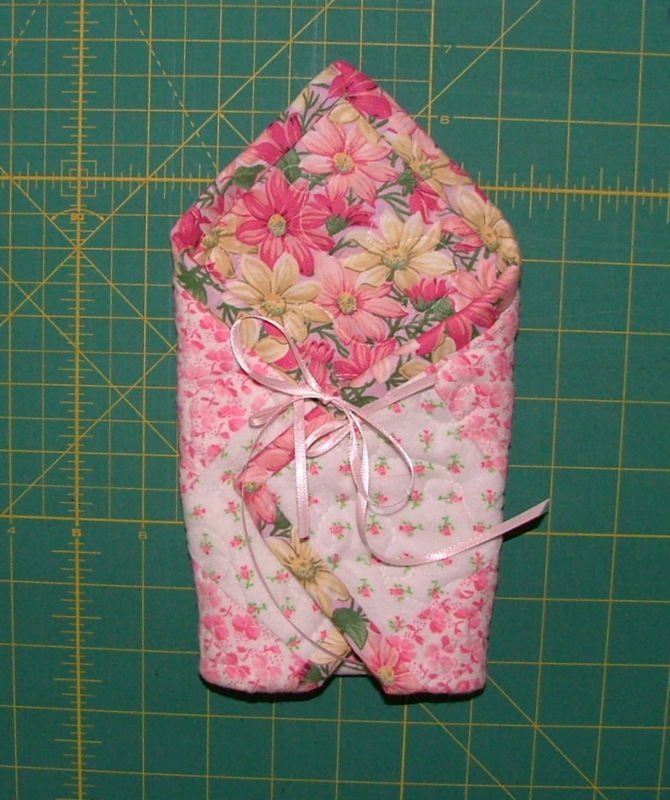 We are moving to making more of the kimono patterns. You can donate angel wraps, blankets, gowns to any local hospital in your city. You can donate Preemie blankets and NICU gowns to any major hospital that supports special programs and donations. And best of all, here in Oregon, we are blessed to have an amazing regional hospital that rival those in Seattle and Los Angeles. Our services all hospitals and states in our surrounding vicinity. I have been asked if others might help that do not sew for their own causes. And the answer is "of course you can!!!!" If you would like to help me as I sew for these special babies on a regular basis, you are welcome to make a small monetary donation to cover fabric or send soft flannels, ribbons, tiny embroidery appliques, to mail tiny items to me. If you have soft baby fabrics to pass on or trims, they are always welcome. If you do not have a personal outlet nearby, you are also welcome to donate your tiny wraps and I will donate them to hospital neo-natal centers for you. Every child, born or unborn is precious, your donations help me to continue to inspire others and to make items for donation. Bless you for asking about donations. My donations all go to Oregon outlets unless they are specially requested. If you are willing to have your donation shared here, publicly, on my blog, please let me know via a little note. Thank you. ♥ Baby Bib (Snap-On) — This links to a tutorial that is easy to follow and very cute! 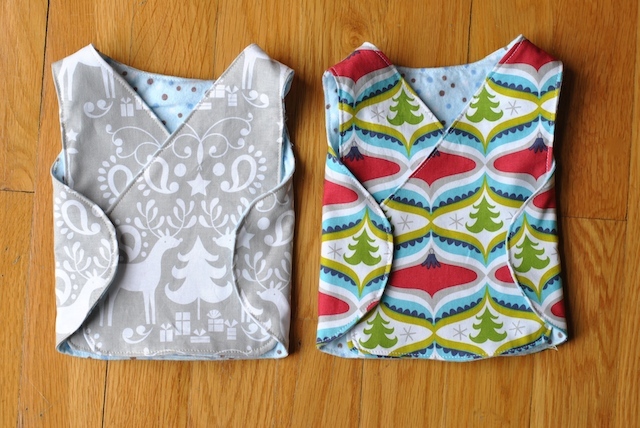 ♥ 3-Seam Baby Footies — This links to a pattern for baby shoes/footies. 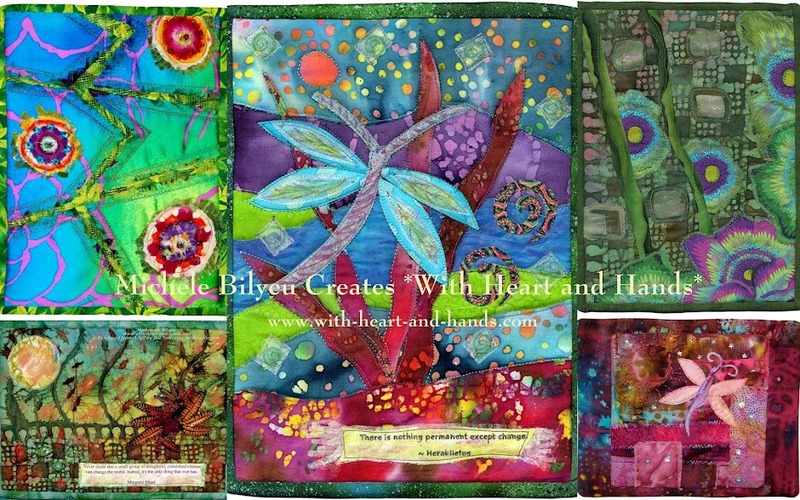 ♥ Baby Blankets — Blankets of various sizes. 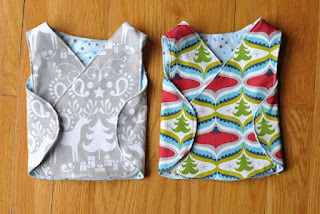 ♥ Burp Cloth, Rectangular — A tutorial for making a simple burp cloth. ♥ Burp Cloth, Contoured — Simple, cute tutorial and pattern for a contoured burp cloth. 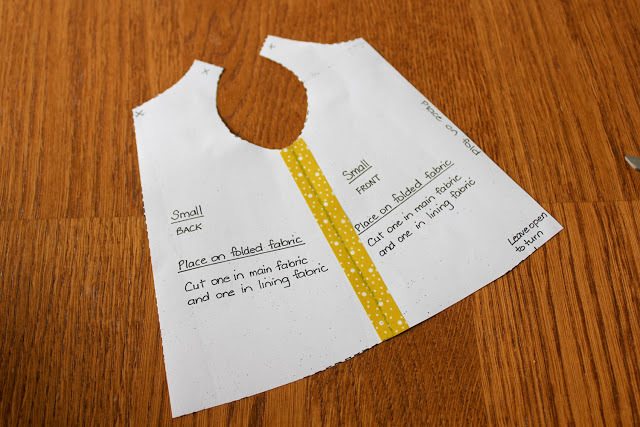 ♥ Burp Cloth — A tutorial for making a simple burp cloth by Early Buds. 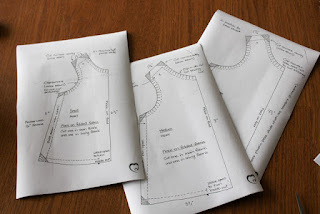 ♥ Basic Baby Pants — A tutorial and pattern for a pair of baby pants. 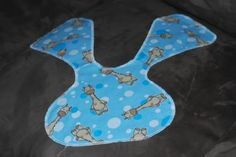 ♥ EZ Pre-Quilted Baby Blanket . Fun Preemie Patterns to try, courtesy of quilt group 'Quilter's Anonymous in Lynnwood, WA. I participate in a preemie project for the NICU at a local hospital through my quilt guild. The blessings of the project are so profound and far reaching. It does a quilter's heart good and it means the world to the families. Great post! Oh Michele, how precious. I've never done any of these. I'm going to have to find out which hospital accepts them here and start. Wonderful post!! A couple of years ago,we made some preemie quilts for our local hospital as one of the ladies in our group had had a boy who was a preemie. He is doing well now as a 10 year old. We made the really small size - The hospital has got somewhat stickier so I am not sure if they will still accept them. I know that they no longer accept hand knit baby things - It is unfortunate. How rewarding. My husband and his twin sister were premies. They weighed just under 2.5 lbs. It's a wonder they survived considering the level of technology fifty years ago. 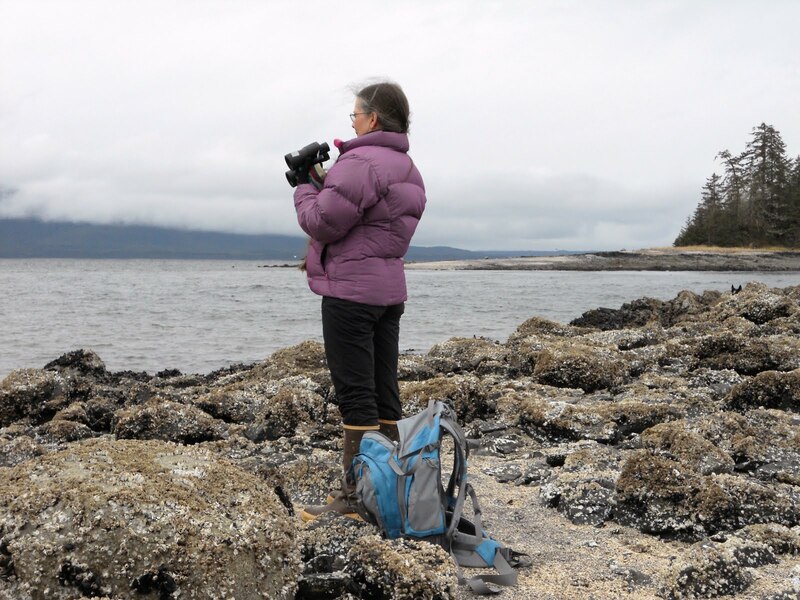 I lost my son by stillbirth. It would have been nice to bring home the receiveing blanket used at the hospital but it wasn't offered to us. I am a quilter and have started making doll quilts to sell. I haven't sold any and if my local hospital will accept them I will gladly give them away to help women in their time of need. Thank you for sharing this! I just found out that one of our local hospitals accepts these and I am so very excited about it. My oldest son was a preemie and thankfully He made it. This is an opportunity for us, as quilters, to share the talent that God gave us, to give back, help others and pay it forward. This is going to be amazing ......my heart is so very full of love right now!!! Isn't God good! !